I don't know about you, but I am seriously ready for spring. (I say this as I'm sitting in my office wearing a puffer coat because it's absolutely freezing in there.) And right now, nothing says spring to me more than mint green. Really, just look at this gorgeous Yves Saint Laurent Satin Balloon-Sleeve Blouse ($1250 at neimanmarcus.com) for proof. Check out my favorite takes on the trend. The rounded frame is so retro. 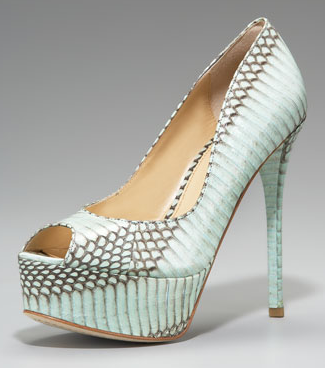 A heel over 5 inches and luscious, divine-looking snakeskin? I'll take it. 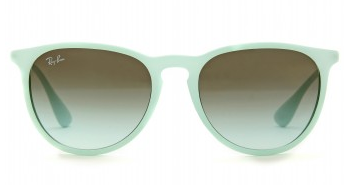 There's something so much cooler about mint-hued denim than white for spring. A pale, almost khaki hue infuses this blouse with safari-inspired elegance. 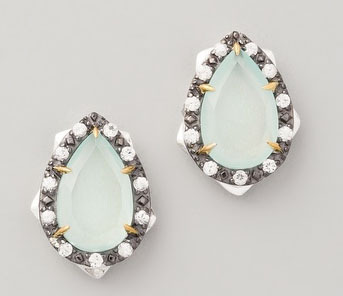 Chalcedony drops meet white sapphires in these luxe rocker-chic studs.